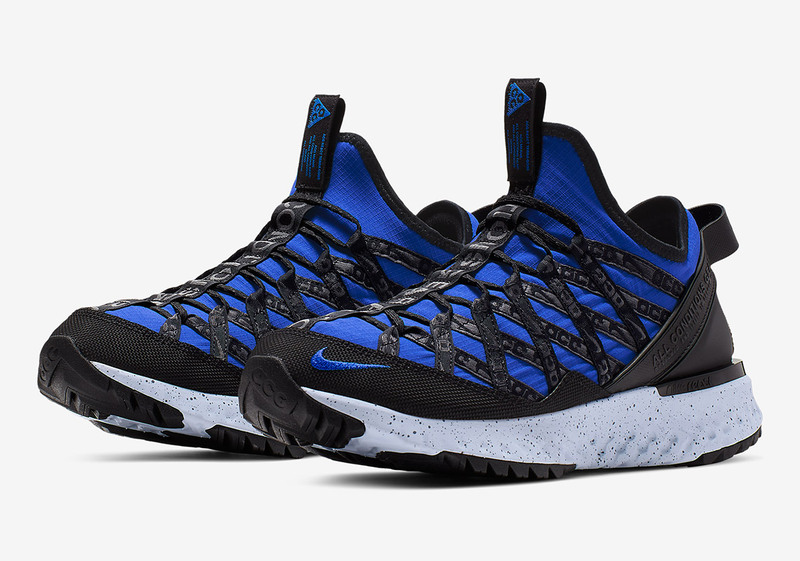 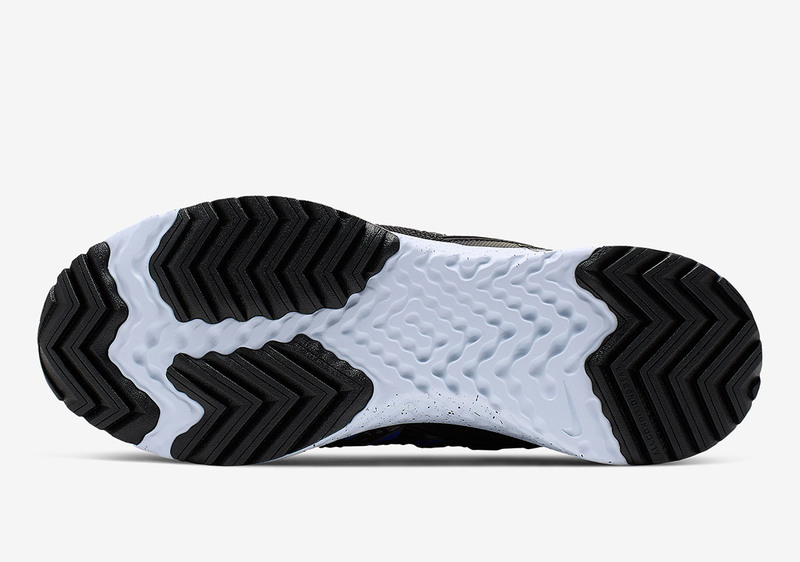 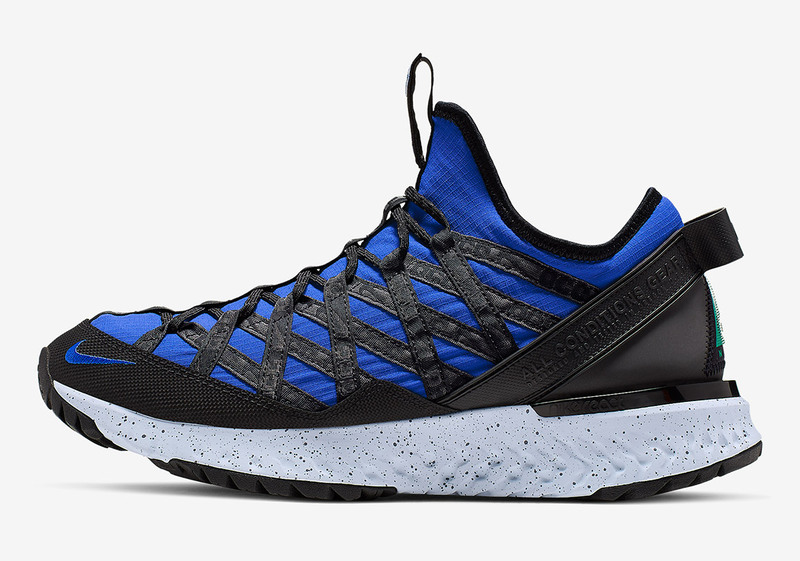 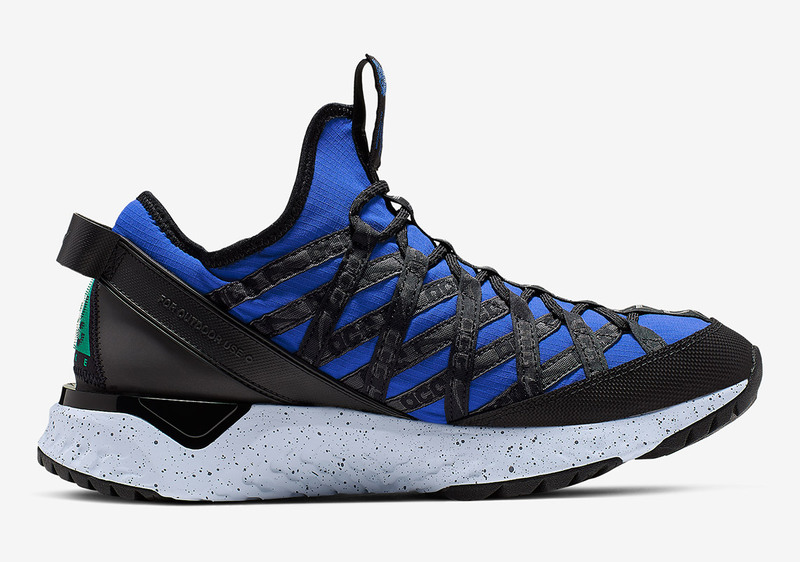 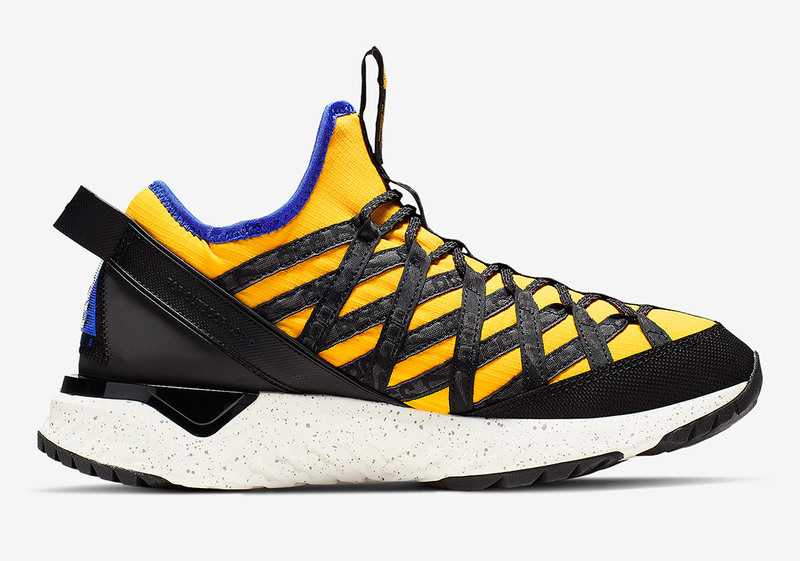 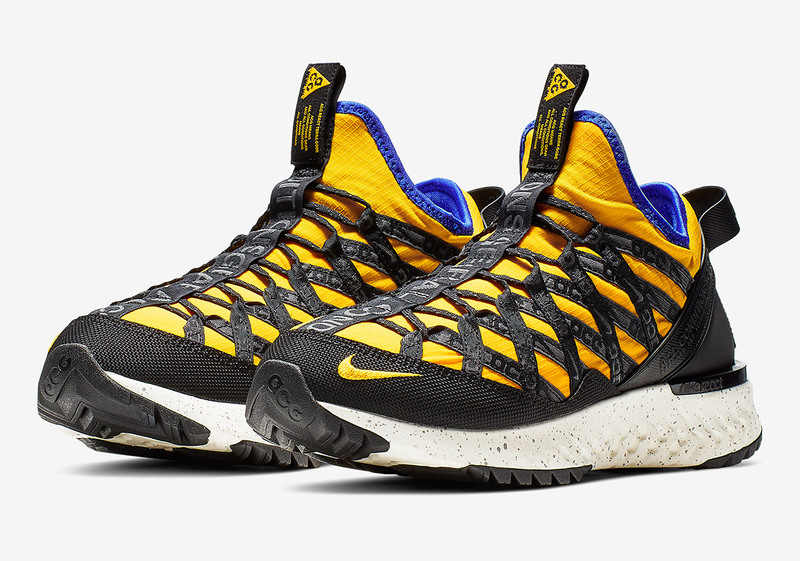 Nike ACG‘s latest endeavor, the React Terra Gobe, further extends the All Conditions Gear universe with a fitting blend of new tech and playful lifestyle aesthetics. 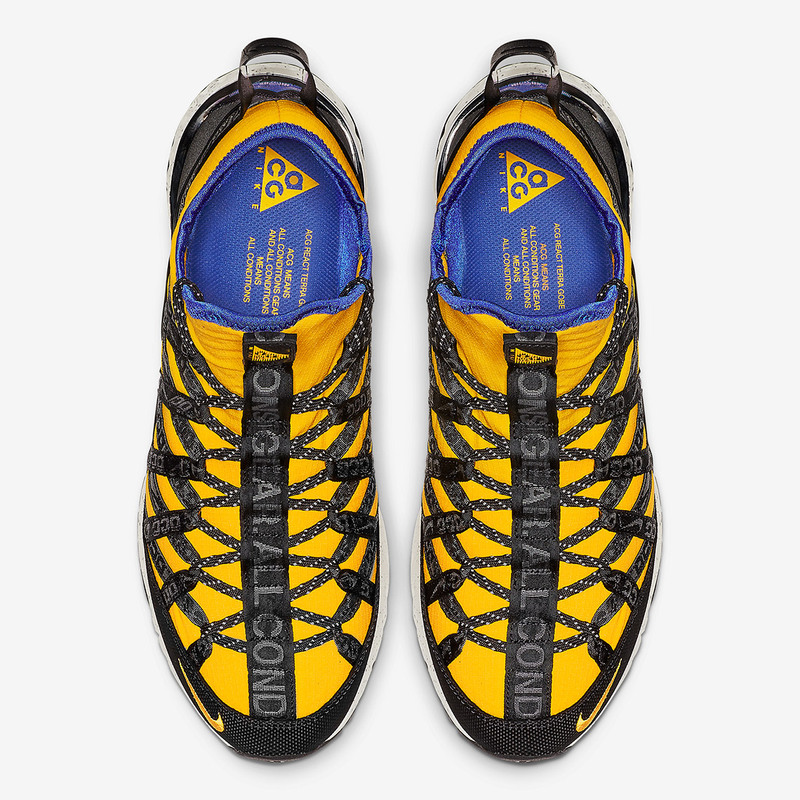 Echoing the many past schemes from the line-up’s longstanding history, the two debuting colorways showcase a vibrant use of either blue or yellow, with each pair painting the majority of its synthetic materials in its tone of choice. 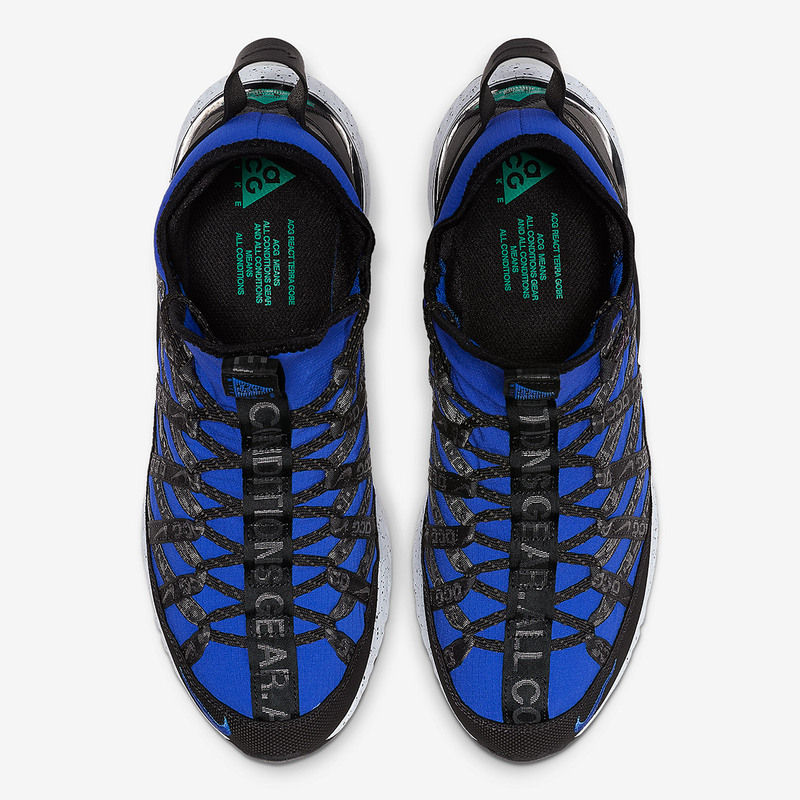 Black accents by way of glossy heel counter panelling, ballistic mesh mudguards, and shrouding webbing-constructed eyestays create visual dimension to an almost panel-less offering, with speckled React sole units, contrast lining, and standout branding completing this return to form. 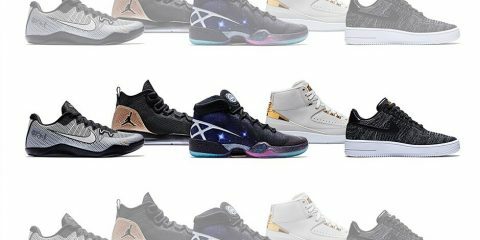 Feast your eyes on both releasing alternatives below and find them hitting the select retailers below come April 20th.